These Pan Fried Brussels Sprouts with Bacon & Dried Cranberries are an easy and delicious side your family will love! I’m sure I’m not the only one who grew up thinking that Brussels sprouts were the end-all of nasty green veggies. (Well, maybe second to lima beans.) But, of course, like any normal kid, I’d never actually tried them! In fact, I’m pretty sure the first time I tasted Brussels sprouts was during a Hanukkah meal at a friends house. And he was right. They’re pretty dang tasty! A little sweet & a little sour. Since that fateful night, I’ve had Brussels sprouts quite a few times, mostly boiled, with lots of butter. While I’m definitely a fan of lots of butter, I’m also a fan of finding as many different ways to make something delicious as possible. This past Thanksgiving my mom brought over a bag of fresh Brussels sprouts that she’d found on sale. She knew that I liked them (now), so she handed them to me to “make something good” out of them. And as every real foodie knows, two things that make just about everything delicious are bacon and cranberries. The bacon adds a sweetness, and the cranberries add the perfect amount of tang to go with the Brussels sprouts. Just what I was looking for in my new favorite side dish! As you all probably know, I’m a huge fan of everything easy. So I strove (strived?) to make this dish as simple as possible. One pan, three ingredients, fry, mix, enjoy! Preheat a cast iron skillet over medium heat. Add in bacon and fry until crispy, but not burnt. When done, remove bacon to a cooling rack. Do NOT drain out grease. Halve or quarter Brussels sprouts and add to the bacon grease. Fry until lightly browned and fork tender (about 15 minutes). Turn off heat. Crumble bacon and add into the Brussels sprouts, along with the dried cranberries. Season with salt and pepper, to taste. Serve immediately, or cold. 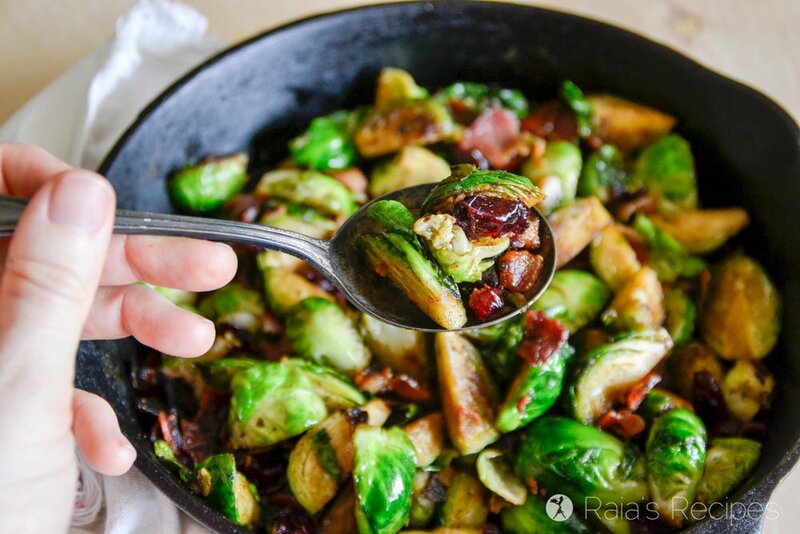 Pin these Pan Fried Brussels Sprouts with Bacon & Dried Cranberries for later! 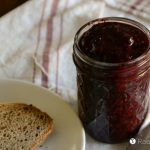 Check out some of my other favorite side dishes! I am slowly coming around with brussel sprouts. The addition of cranberries and bacon is a no brainer. These would easily disappear on my plate. 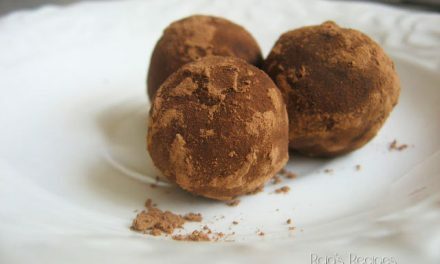 The sweet and salty would add a new dimension to this recipe. Can’t wait to try it. I love this flavor combo so much! All three of these ingredients are favorites of mine! This looks beautiful! I know, mini cabbages. Those were my first impressions of brussel sprouts too! I’d never have thought to add cranberries to brussel sprouts! The hint of sweetness must be so great with them. Brilliant! 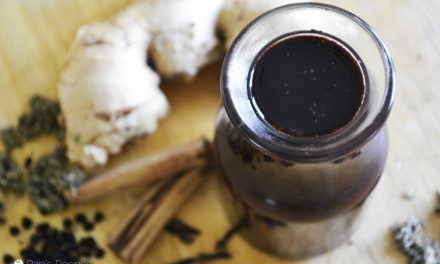 I think it is really interesting to see how ingredients that were once considered “blah” have suddenly becoming the latest and greatest trends. Kale is a great example of this (I remember when it was simply a garnish that no one ever ate) and of course brussel sprouts fit into that category. But I’m loving your addition of the cranberries and bacon. It definitely gives these little beauties a festive appearance. Thanks, Lynn! It really is amazing how we use food for decorating our food and don’t think to eat all of it! Haha. People down here just grow kale in their flower beds for decoration, too. They never think of eating it! I was not a lover at all of brussels until my grown-up years because they were so boring. 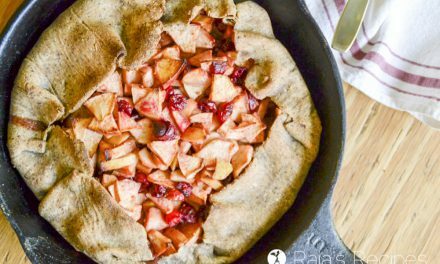 This is a delicious dish and I love the addition of cranberries. This is a great idea for incorporating brussels sprouts– even my kids would eat these! Delicious! This looks delicious. I love the flavor combo on this dish. Yum!! 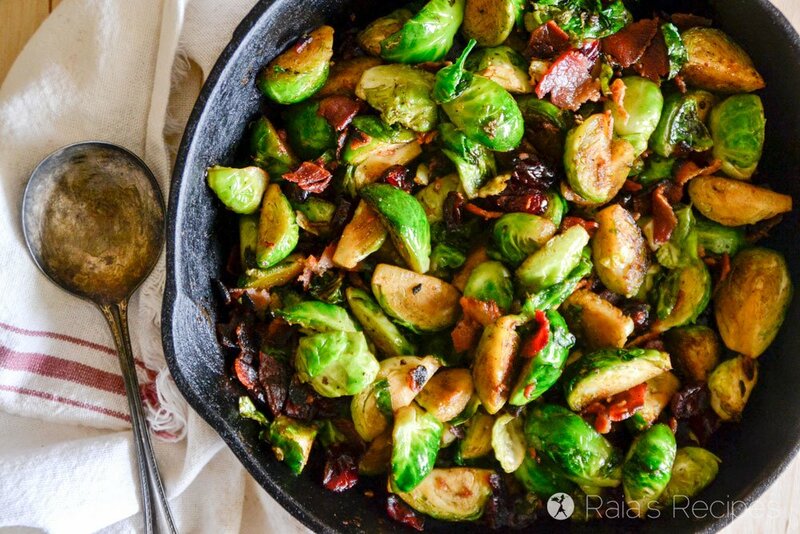 Brussel sprouts and bacon is the best combo! 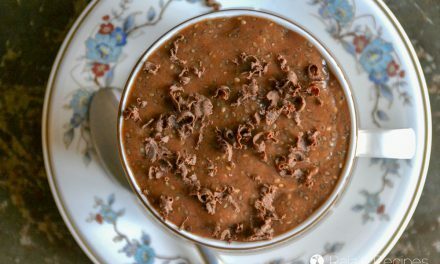 This would be such a delicious Christmas side dish! Agreed, Joyce! 🙂 Thanks for stopping by! A great flavor combination for your Brussels Sprouts, they look delicious. Thanks so much for sharing your awesome recipe with us at Full Plate Thursday! Hope you are having a wonderful week and hope to see you soon! Brussels Sprouts are one of my favorite veggies! 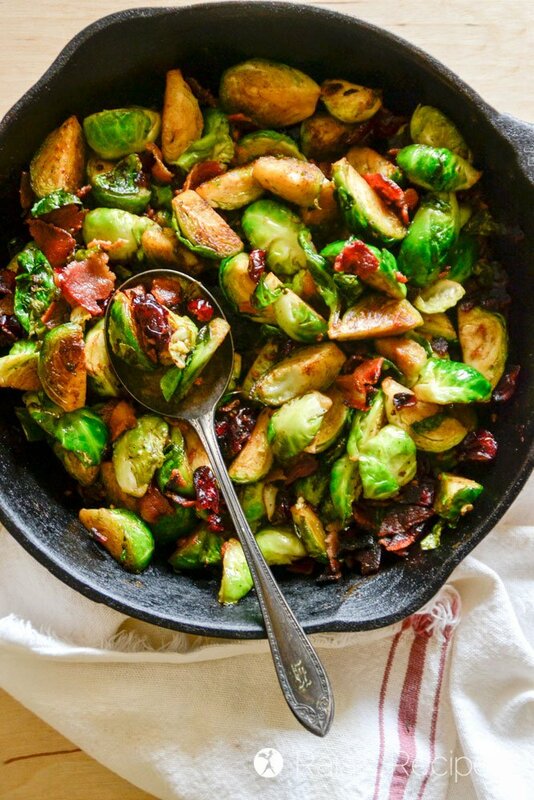 Thanks for sharing your healthy and delicious Pan Fried Brussels Sprouts with Bacon & Dried Cranberries recipe with us on the Healthy Happy Green and Natural Party Blog Hop. I’m pinning and sharing. Wishing you a healthy, happy year ahead!